An accountant by training, Larry Weltman has been instrumental in the growth of AccessEasyFunds. During the firm’s infancy, Larry played a key role in research and development, as well as in the introduction and implementation of AccessEasyFunds’ operating system to its market. 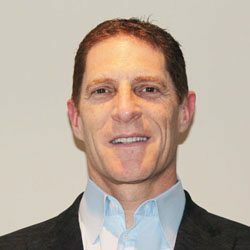 As such Larry is a veteran in servicing AccessEasyFunds’ realtor and brokerage clients, with a strong understanding of client needs and their ever changing markets. For Larry, who is passionate about helping others succeed and maximize their goals and potential, the growth of AccessEasyFunds is very rewarding. “We have seen many realtors startup and significantly expand their real estate businesses, having used our services as an important financing tool,” he says. Larry’s commitment to customer service excellence expands beyond AccessEasyFunds’ current customer roster. Larry is diligent in his effort to help grow the company and attract new customer accounts as well as continue to learn how agents’ needs change in an ever changing real estate sales market. The key to Larry’s success stems from his ability to recognize the unique needs of each customer, while showing dedication to customer satisfaction and same-day service. He has been instrumental in directing upgrades and changes to AccessEasyFund’s state of the art system and embrace new technologies as a way to better service clients and their brokerages. Recently, AccessEasyFunds released a free mobile app at the initiative of Larry, so that clients can access advances easily from their mobile phones. In order to offer his customers the highest-quality service, Larry routinely stays up-to- date with the changes and developments in the real estate sales sector. He also publishes regularly in the media on aspects related to the real estate industry. Outside of business, Larry is passionate about physical fitness and works out daily. He has also competed in a number road races and triathlons, including the 1992 Ironman Canada competition. In his leisure time, Larry enjoys watching European soccer and spending time with his family. Larry is married with three children.